Almost everyone has a desire to write a book. What's holding you back? Chandler Bolt from Self Publishing School teaches how to write a book, how to launch it, and use it to grow a 6-figure income. Gary Vaynerchuk, Pat Flynn, Grant Cardone, Lisa Nichols and Russell Brunson are just a few of the successful authors you'll learn from on this show. 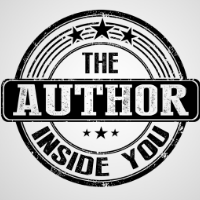 On this show you'll learn how to grow your income, authority & business with a book. Chandler reveals what it really takes to successfully launch a book, without the BS of traditional publishing.